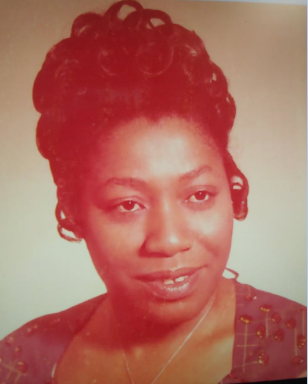 Louise Reid Golbourne was born in Saint Elizabeth Parish, Jamaica, on April 12, 1941 to her parents Harold and Nora Johnson Reid who preceded her in death. She was married to Noel Golbourne in New Jersey on July 24, 1978 and remained married for 40 years until her death. Louise has three children, and through marriage one stepdaughter and one stepson. She worked in the Home Health Care industry throughout her employment history. On Saturday, November 24, 2018, at Florida Hospital in Ocala, Florida, she departed from this life at the age of 77. She was preceded in death by her parents Harold and Nora Reid, and sister Vivian Williams. She leaves to cherish and celebrate her life memories her sole husband of 40 years, Noel N. Golbourne; sons: Audley Henry (Veleria) of Marietta, GA, Howard Henry “Pops” of Piscataway, NJ; daughter, Judith Henry of Ocala, FL; brother: Amos Reid of Toronto, Canada; sisters, Linda Palmer of Mt. Pleasant, St. Elizabeth Jamaica, Loretta Milwood of Sanford, FL, and Hazel Allen (William) of Mississauga, ON. and a host of Grandchildren (13), Great Grandchildren (13), nieces, nephews, relatives and friends.